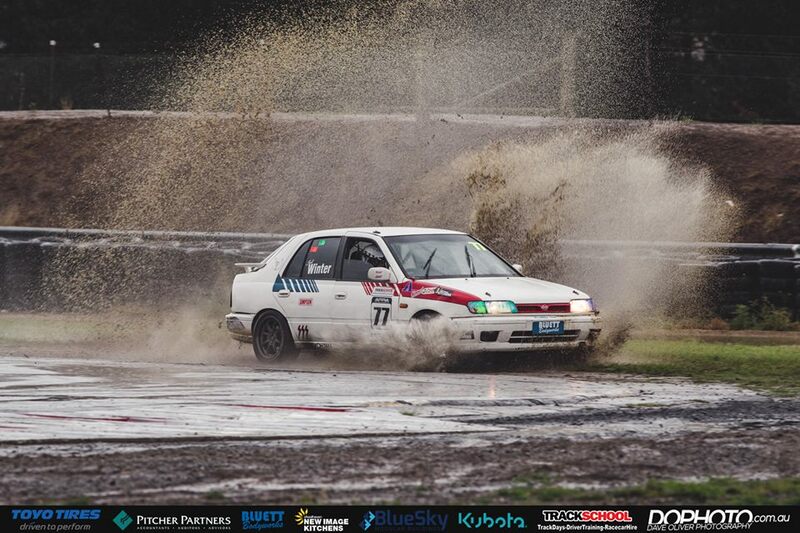 RaceAway Track Time Pilot Keeps Series Alive, with Dominant Drive in often Atrocious Conditions at Wakefield Park. The Pitcher Partners NSW APRA Series will be decided on the final day of school, after Joshua Heath put in a championship saving drive, to win the opening enduro of the double-header, double points weekend, at Wakefield Park. 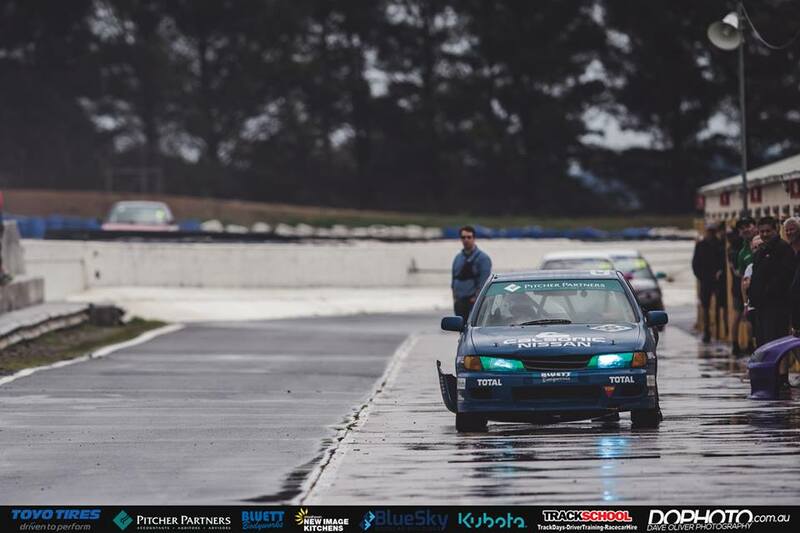 Torrential rain battered the Southern New South Wales circuit right throughout Saturday, as predicted, not only impacting on the event schedule, but also, providing an enormous challenge for the 27 cars lining up on the grid for the final round of the season. Saturday morning practice was scheduled for 20 minutes, but with three red flag incidents, we only saw a total of seven and a half minutes of running, in which only half the field was able to record a time. The action started on the first flying lap of the session, when no less than four cars found their way into the grass and gravel on the outside of turn 1 – a direct result of aquaplaning on the large amount of standing water sitting right across the circuit, on approach to that kink at the end of the main straight. With only 50% of the field recording a time, it was easy work for series organisers when it came to breaking the field into a bottom and top 50%, for the split qualifying session later in the morning. Of those who registered a time, Gene Alexander was fastest (1:43.5039), ahead of Daniel Smith and Iain Salteri. 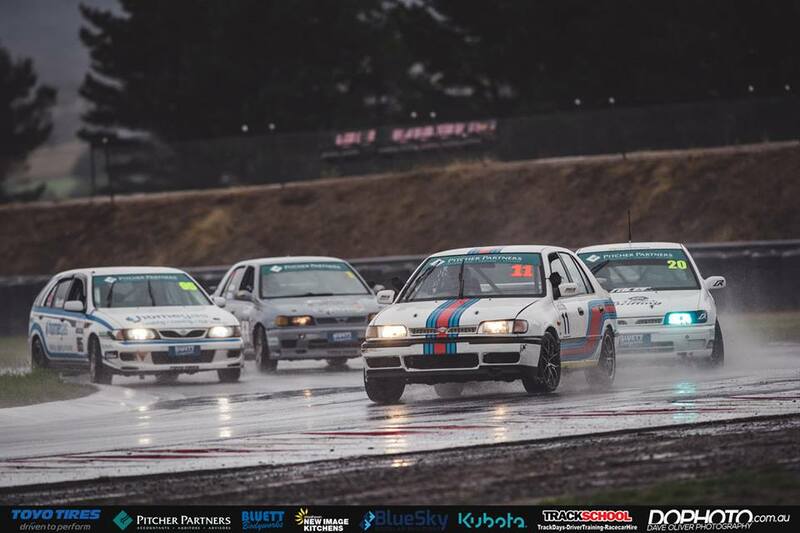 The drama continued when Qualifying got underway, with the bottom 50% competitors getting the better of the conditions, ensuring a shaken and stirred starting grid for the opening race later in the day. 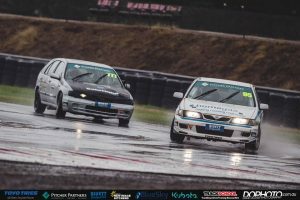 The bottom 50% qualifying session commenced under a grey sky, but the rain had eased, therefore meaning the lap times were improving, as the track gradually started to dry, but that didn’t last long. 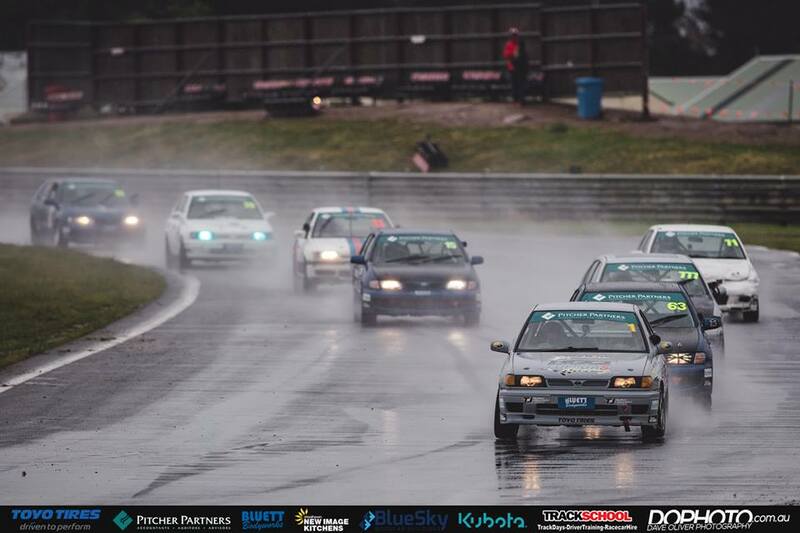 Upon completion of the Bottom 50% session, a massive downpour swept across the circuit, suspending on-track activity for almost half an hour, and ensuring that the top 50% qualifiers would be on a fully wet track once their session commenced, and that meant there was little hope of those competitors matching, or bettering the times set by those who were out in the bottom 50% session. Not setting a time in the practice session worked in Matthew Boylan’s favour. The Championship leader found himself qualifying in the bottom 50%, whereas his title rivals, Josh Heath and Daniel Smith were in the Top 50% session. The bottom 50% session was topped by Dimitri Agathos. 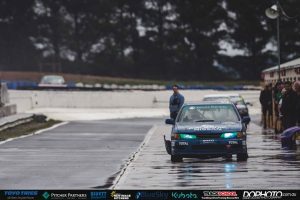 The two-time APRA Champion, teaming up with Trent Murray this weekend, clocked a 1:31.0132, and was more than half-a-second faster than Luke Eberhart, the surprise packet of the session, who took second. 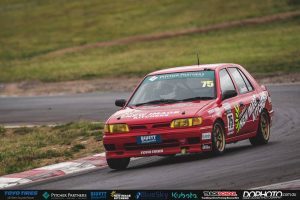 Champion-elect, Boylan, was third, ahead of Graeme Watts and Jordan Cox, who rounded out the top five, after being drafted in late, to share driving duties with Craig Thornton this weekend. In the Top 50% session, the surprises continued, with Paul Simpson clocking the fastest time, ahead of Boylan’s title rivals, Josh Heath and Daniel Smith, but their times were only good enough for 12th, 13th and 14th on the grid. Unfortunately, Saturday’s Top Ten Shootout was CANCELLED, meaning the grid would stay as it was for that opening race. 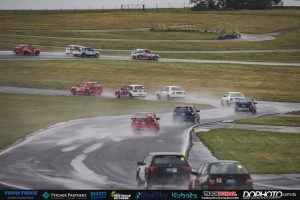 Event organisers scrapped the shootout, due to time constraints, as a direct result of multiple stoppages throughout the program on Saturday, caused by wild weather and the odd crash as well. 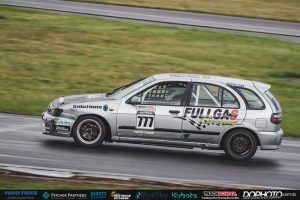 From the start of the opening race of the weekend, it was Matthew Boylan with the advantage of track position over his title rivals, who would both be looking to move their way through to the front of the field as cleanly and quickly as possible – not an easy task in the conditions they were presented with. At the front, Luke Eberhart got the jump off the line, to take the early lead. from Dimitri Agathos and Jordan Cox, who made a beautiful start, to get by Matthew Boylan, who settled into fourth spot. It wasn’t long before Cox was on the move, getting by Agathos to take second position. 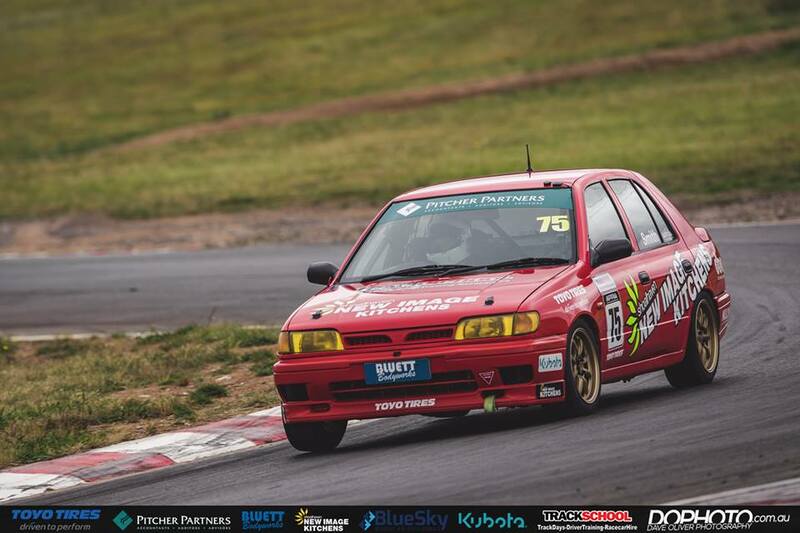 It was a terrific opening stint from Cox, who hadn’t raced in the APRA series prior to this event, but is well known for his Improved Production exploits, including winning this year’s NSW Under 2 Litre Championship. 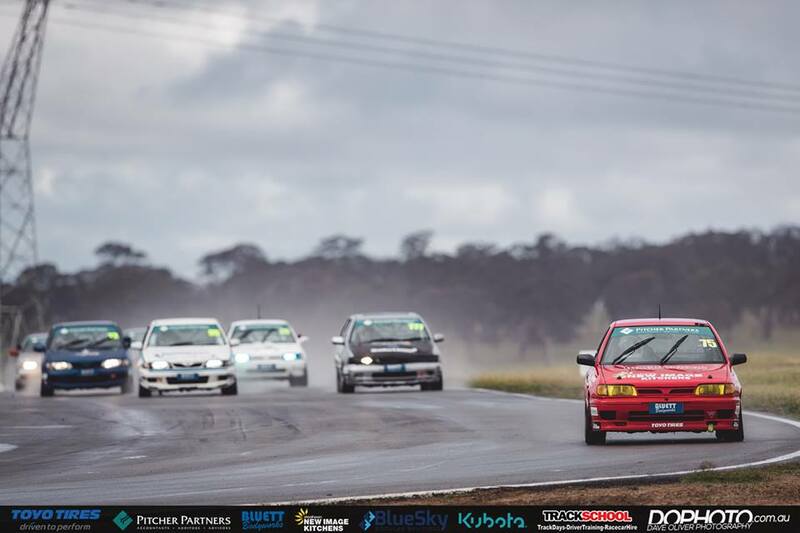 With the wet weather came the expectation that, at some stage, the race would be neutralised by the Safety Car, and we only had to wait 10 minutes for the first occurrence of such, after Shane Eberhart came to a stop over a the fishhook (turn 8). Unfortunately, the pit-window wasn’t due to open for another ten minutes, meaning no one was able to complete their compulsory pit-stop, but the early appearance of the Safety Car did work into the hands of Smith and Heath, who were able to latch back onto the lead pack, who’d be able to build a gap until the Safety Car saw the field bunched up once more. Upon resumption, Cox made light work of Eberhart, taking the lead off him very quickly. Cox remained at the head of the field right up until he pitted, at the end of lap 25. Josh Heath opted to pit earlier in the window, in a bid to get out of the traffic, and have a clear track upon his return to circuit. The undercut strategy worked extremely well for him, as he took the lead away from Thornton, while Thornton was in the lane. 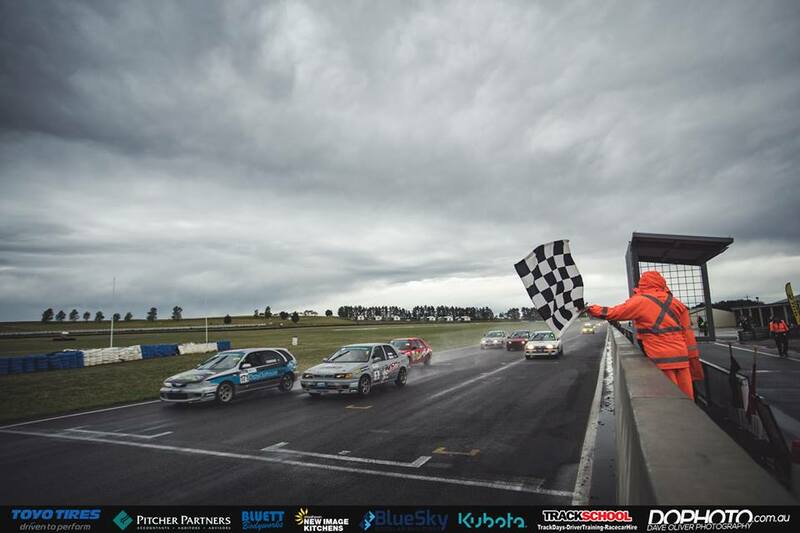 Soon after the pit window closed, the Safety Car made its second appearance of the race, when Cem Yucel became bogged in turn 10 sandtrap. 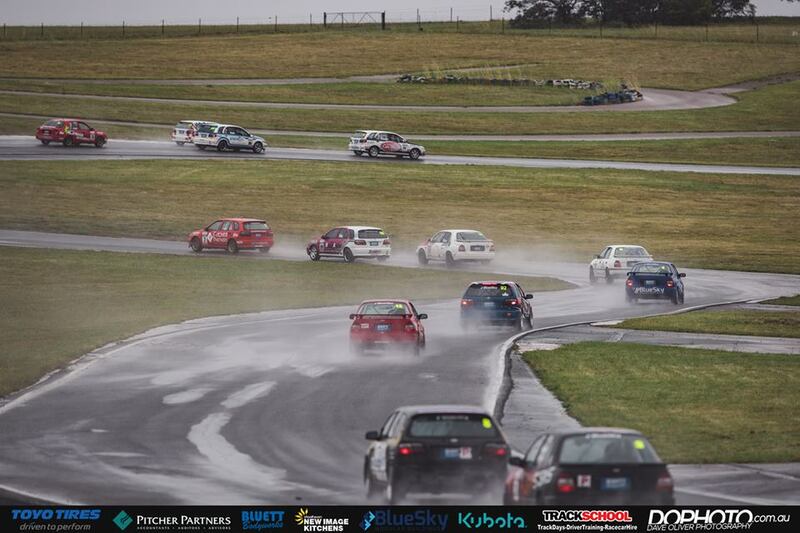 Prior to the Safety Car, Matthew Boylan was stuck in eighth position, and Daniel Smith was behind him in ninth. Boylan was one of several drivers to come unstuck at turn 2, detouring via the sandtrap on lap 19, and falling from third to ninth in the process. He worked his way up to eighth prior to pitting, but he then lost further time while on the lane. A small mechanical issue saw him stopped towards the end of the lane for many seconds before returning to the track, by which point he was stuck down in fourteenth position. Boylan picked off car after car, to be back in ninth when the Safety Car was deployed. Had the race finished there, all three drivers would remain in title contention for Championship Sunday, and Heath and Boylan would’ve been separated by just one point, in favour of Boylan, going into the final race of 2017. BUT, there was one last sting in the tail. The safety car remained on-track for three laps, before returning to the lane, to leave us with a two-lap sprint to the chequered flag. 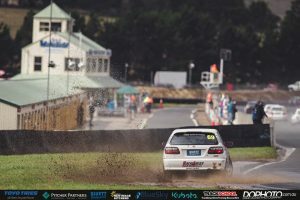 In that two laps, Josh Heath eased away from Craig Thornton, Thornton then visited the gravel trap, and fell from 2nd to 14th, while Matthew Boylan put in a potentially championship saving drive, going from 8th to 3rd, to maintain his championship lead, despite Heath putting a dent in it. 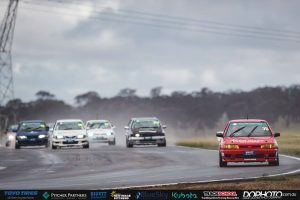 Josh Heath was pushed all the way, but in the end, he cruised to a commanding 14-second victory – his fifth of the season, and first at Wakefield Park – ahead of the Improved Production pairing of Sam Maio and Ashley Birks, who were the quiet achievers of the race, while Matthew Boylan came home third, and took a 35-point lead into the final race of the season. Thomas Petrovich came home in fourth position, ahead of Luke Eberhart and Michael Osmond. Trent Murray and Dimitri Agathos came home in 7th, with Daniel Smith in 8th, Iain Salteri in 9th, and Gene Alexander rounding out the top ten. 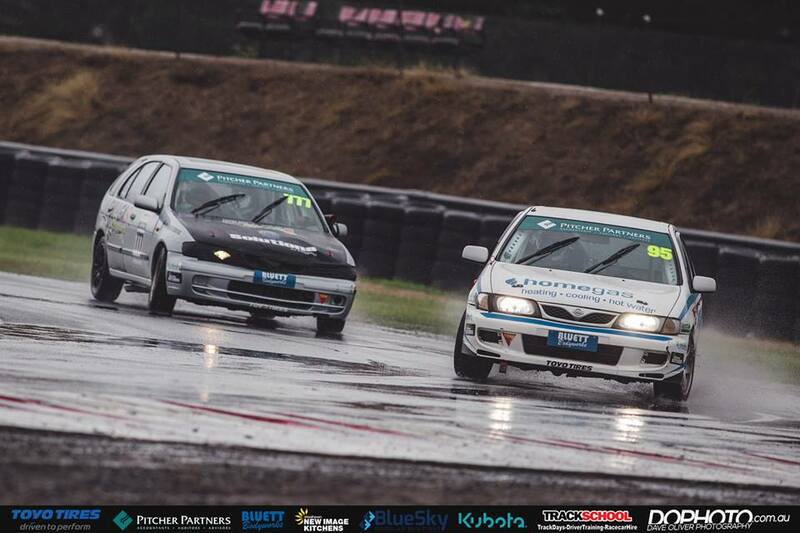 Fifteen cars finished on the lead lap – quite impressive given the conditions on-track. The race winner clocked the fastest lap of the race, with a 1:24.8733, and completed 35 laps in the first one-hour race of the weekend. 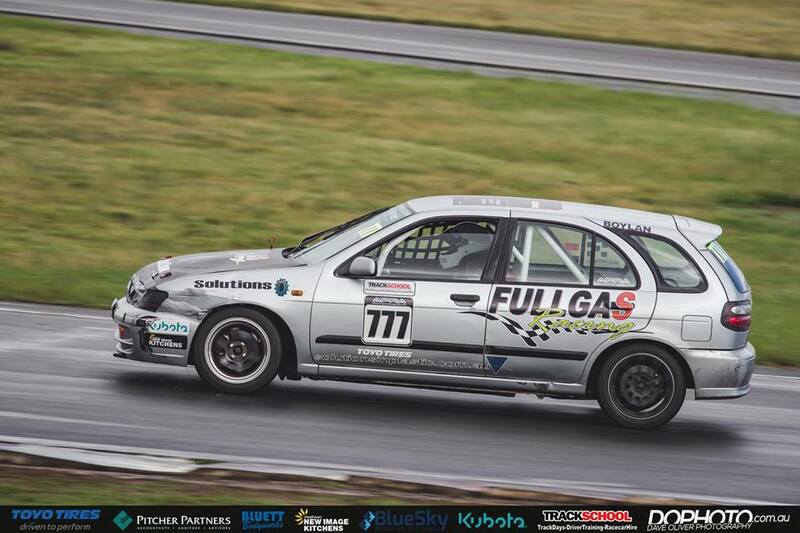 Sadly, for Daniel Smith, Boylan’s heroics in those final few laps saw him drop out of championship contention. Smith was an outside chance coming into the event, sitting 190 points behind Boylan, and he would’ve only remained in contention if that deficit was less than 200 after the opening race. 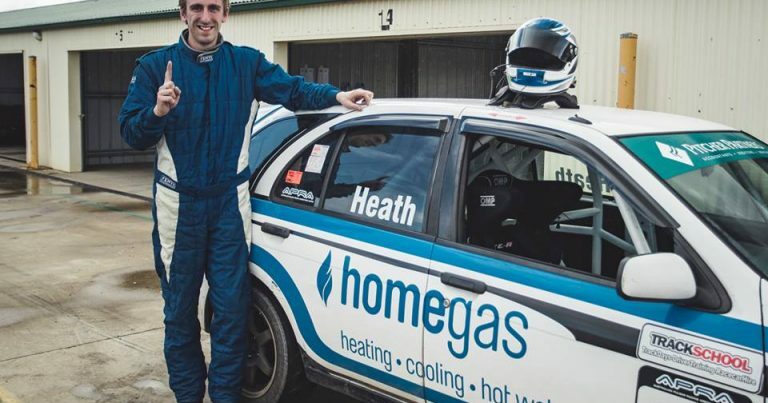 The Trackschool driver remains in contention for second position in the series, but it is a long shot, as he would need to win tomorrow’s race, and have Josh Heath retire. Post-race, there were two penalties replied, and one withdrawn. Lachlan Mineeff, who teamed up with Lachlan Mansell to finish in 22nd position, copped a 30-second penalty for overlapping on the final restart, while Matthew Boylan was awarded a FIVE LAP penalty, for allegedly completing his compulsory pit-stop too quickly – a penalty which (could have) had massive championship implications. For the two races this weekend, competitors must undertake a compulsory 3-minute pit-stop, with pit-lane transit time incorporated into the three minutes. Officials argued that Boylan left the lane mere seconds under that three-minute mark, and awarded him the penalty accordingly. Boylan had the right of reply, and stated that he was in the lane for well over three minutes, as a result of that mechanical drama we mentioned earlier. As it turned out, since Boylan was parked over on the far left hand side of pit-road, the Natsoft timing loop failed to pick up Boylan’s car as he was returning to the track. 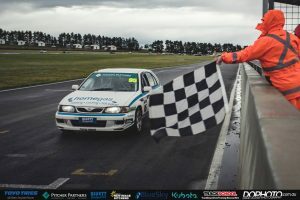 Once that technical issue was discovered, officials withdrew the penalty issued to Boylan, who breathed a massive sigh of relief – retaining his third place finish and his championship lead amid drama and confusion in race control. 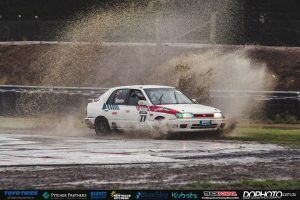 One of the wettest days in recent memory at Wakefield Park ended as it started, with Matthew Boylan as the points leader, and Joshua Heath breathing down his neck. Heath took 30 points out of that lead today, making the equation very simple for Sunday. If Heath wins, Boylan must finish second or third to be crowned the champion, but if he finishes fourth or lower, it’s Heath who’ll steal the title at the final hurdle. 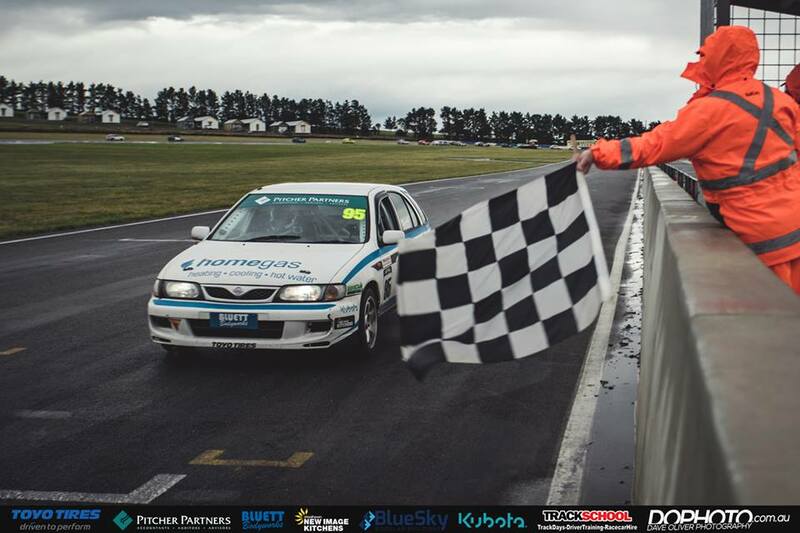 If Boylan finishes ahead of Heath, GAME OVER – Boylan is champion! 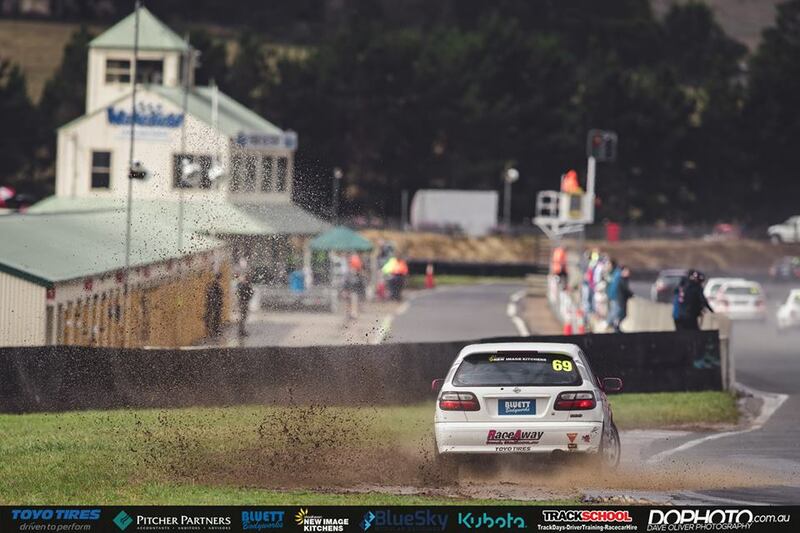 Dry conditions are expected for Race 2 of championship weekend, as the 2017 Pitcher Partners NSW APRA Series title fight goes right down to the wire!